Excellent metallic white color and excellent brightness. 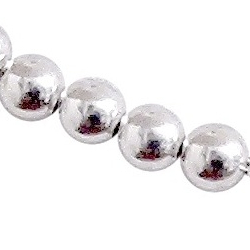 7 mm sterling silver shiny beads are carried by a Turkish silver foxtail chain, terminated by a lobster clasp. 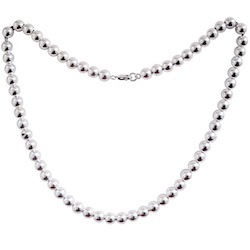 This inexpensive yet state of the art necklace is just another example of how Turkish silversmithing excels in creating more volume with less silver mass. You can even try it yourself: all parts are available separately in this store. Also available as bracelet and anklet.